Tessellate is an experimental art space dedicated to seeding conversations between communities and imagining new creative, collective urban futures. Tessellate believes in art not as object but as vehicle for action and exchange. As such, the project aims to facilitate the work and discourse of emerging artists through exposure, opportunity, and interaction. Tessellate is located in a suburban garage and backyard apartment in Pontiac, Michigan, a weird and wonderful small city just north of Detroit. Once a manufacturing powerhouse for the car industry, the city retains a diverse and robust community, nestled in old factory housing and historic neighborhoods interspersed with green open lots. The walkable downtown boasts cafes and music clubs, a craft brewery and an old gay dive bar, two nationally renowned haunted houses and a massive abandoned parking structure with a rooftop amphitheater. Like its neighbor Detroit, Pontiac is home to a burgeoning collection artists and creative people working to rethink a creative way forward in the post-industrial environment. Tessellate believes these eccentricities and charms make Pontiac a field ripe for experimentation. Tessellate is an experimental artist run space dedicated to seeding conversations between communities and imagining new creative, collective urban futures. Tessellate believes in art not as object but as vehicle for action and exchange. The project aims to facilitate the work and discourse of emerging artists through exposure, opportunity, and interaction. 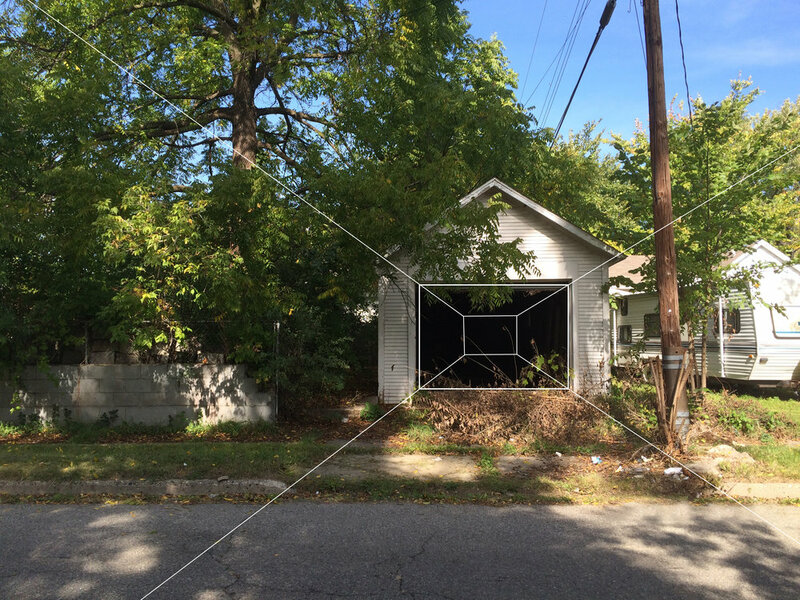 Tessellate is located in a suburban garage and backyard apartment in Pontiac, Michigan, a weird and wonderful small city just north of Detroit. The property, after being abandoned for four years, has been renovated to reinvigorate the main house and transform the auxiliary structures into their new lives. Once a manufacturing powerhouse for the car industry, Pontiac retains a diverse and robust community, nestled in old factory housing and historic neighborhoods interspersed with green open lots. The walkable downtown boasts cafes and music clubs, a craft brewery and an old gay dive bar, two nationally renowned haunted houses and a massive abandoned parking structure with a rooftop amphitheater. Like its neighbor Detroit, Pontiac is home to a burgeoning collection of artists and creative people working to rethink a creative way forward in the post-industrial environment. Tessellate believes these eccentricities and charms make Pontiac a field ripe for experimentation.